The organisers of the London Poker Festival have announced the British Poker Awards will be held on 13th September at the Fox Club, a glittering awards ceremony on the eve of the WSOPE. The awards will honour poker’s top achievers in a number of categories, including Best Overall Poker Player, Best Cash Player, Best Tournament Player, Best Online Player and Best UK Card Room. Winners will be largely chosen by the voting public, while some awards give the opportunity to players to vote for their peers, and a Best Player award judged by the editors of Bluff Europe Magazine, Poker Europa and Poker News. Tickets to this star-studded event will also be made available to the public, and will go on sale soon. 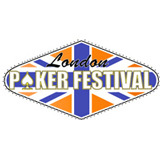 Voting will open to the poker playing public on August 1st at www.TheBritishPokerAwards.com.